This wedding venue is a true hidden treasure, it combines elegant gardens and a tranquil setting positioned on the north shore of Rutland Water. Three miles away from Oakham and near enough to explore the delights of Rutland Water, Barnsdale Lodge offers a good choice of private function rooms, finished with antiques and all licensed for civil ceremonies. Visitors will enjoy the outstanding views across the lake and fields which provide the most stunning settings for your wedding day or civil partnership. 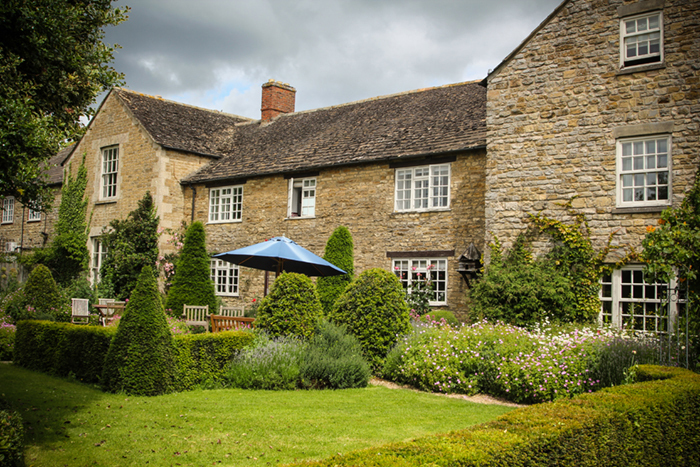 This unique hotel was originally a 17th-century Farmhouse on the Exton Estate. The venue has been tastefully transformed into a charming 44-bedroom hotel and restaurant. Full of charm and character the rooms boast Four-poster beds and Honeymoon suites with beautiful views looking over the gardens or courtyard. Recently added is the beauty therapy room offering male/female hair styling and bridal packages at the salon. Enjoy drinks and a stunning view form the conservatory which overlooks the gorgeous gardens and courtyard. Relax in the courtyard, it's a perfect spot to soak up the sun and chat with wedding guests throughout your wedding celebrations. In my experience the hotel staff are very friendly, professional and helpful making your wedding day a truly memorable occasion. Catering at Barnsdale is truly excellent, creative and fresh. I can personally vouch for this as I attended as a guest at a friend's wedding earlier on in the year. Congratulations to Rebecca and Mark who were married at the Lodge in July this year. Here's a few examples of the happy couple celebrating their love as they say their vows in the beautifully dressed barn. The stunnning gardens made an excellent backdrop for the formal group photos and the secluded front gardens were perfect for the romantic couple photographs. The venue is on my A list for weddings venues and also for a romantic Break away. It really is a peaceful sanctuary and I love it!